Genesis Technologies designs, manufactures, remanufactures and repairs railroad signal and traffic signal electronic equipment. We have served the rail and traffic signal industries since 1988. Our customers are Class I, regional (Class II), and short-line (Class III) railroads, and municipalities who expect and depend on reliable, long-lasting, quality signal products and services delivered in a timely manner. Our goal is to deserve our customers' business by providing products and services at a fair price and always dealing with them openly and honestly. Genesis products are in stock and can ship today! 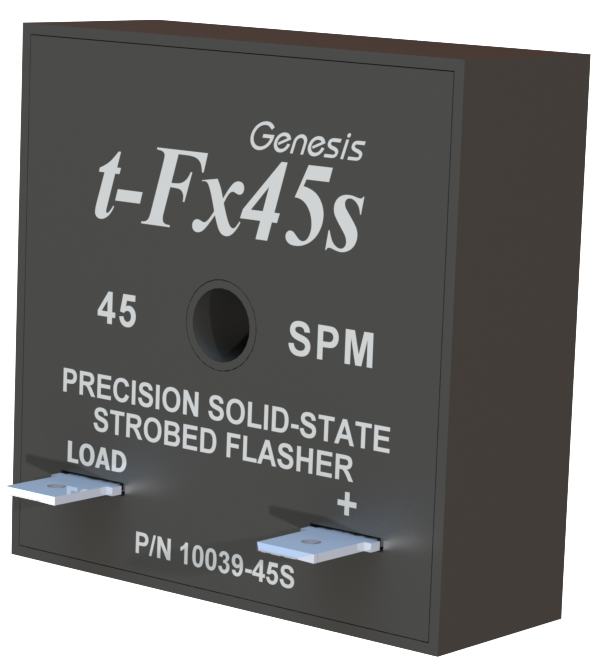 The Genesis t-Fx45s Strobed Flasher Pack is designed to strobe LED indicators to command the visual attention of railroad personnel when remedial action is necessary. Like the LED lights used on emergency and law-enforcement vehicles, LED indicators strobed in this manner are seldom missed. Application Note AN-001 explains how to use the t-Fx45s strobed flasher to make your signalized rail/highway grade-crossings safer. 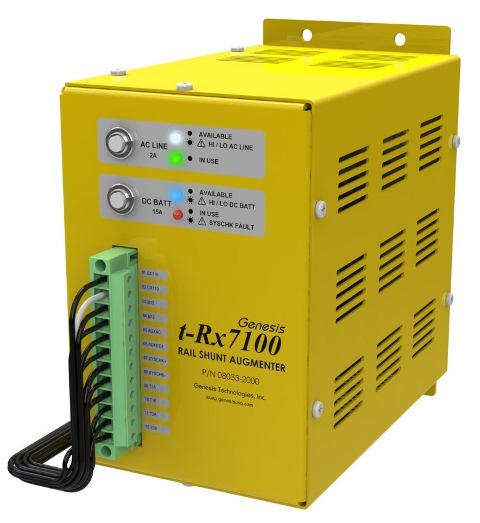 Application Note AN-002 explains how to use the t-Rx7100 as an ACDC track driver to drive an adjacent island-only track circuit and simultaneously provide shunt augmentation to a main track! © 2019 Genesis Technologies, Inc. All Rights Reserved.